Value Care’s goal is to keep costs as low as possible and to help you find more affordable caregivers. We know that every extra hour of care makes the difference for our clients. Timely referrals for hands-on personal care services such as bathing, dressing, walking support, companionship, homemaking, neighborhood errands and more. Introducing our extraordinary commitment to helping clients find the right caregiver. We call it the “5-Star Promise”. Caregivers are referred based on guaranteed experience, proven references, better techniques and the utmost compassion. Receive Great One on One Care – Anywhere! From The First Day, In Every Way. Since 2007, thousands have relied on us to refer experienced and qualified caregivers for client-directed, in-home care. Our special programs offer real value to assure your satisfaction. When you hire a care professional referred to you by Value Care, you benefit from our unique recruiting system. Cost Savings: You save 25% or more off average industry prices. Control: You decide the continuity of care, the professional caregiver, number of visits and services performed. Choice: You choose between unlimited hourly or around the clock care referrals. Accessibility: Receive 24 hours a day, 7 days a week on-call service. We RECRUIT, interview and carefully screen experienced caregivers in person, with our dedicated referral specialist team. 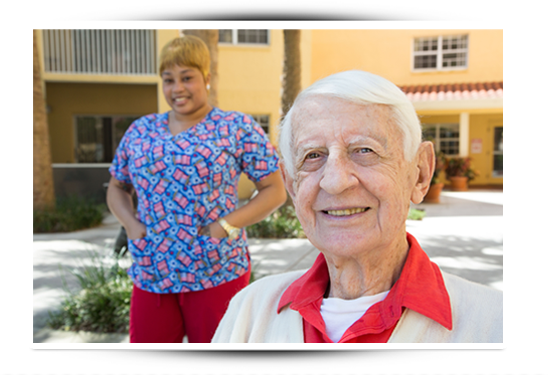 We VERIFY that every caregiver meets State of Florida requirements. We MATCH you with the best professional caregiver using our Care Match program— designed to thoroughly understand your care needs and confirm your satisfaction in the important first days of your relationship with your referred caregiver. Our FIVE STAR PROMISE: Background checks and testing unique to our industry that go well above and beyond State requirements. Referral Fee: An ongoing hourly referral fee; priced so you can afford the help you need. Placement Fee: A one-time referral fee for the caregiver you select.